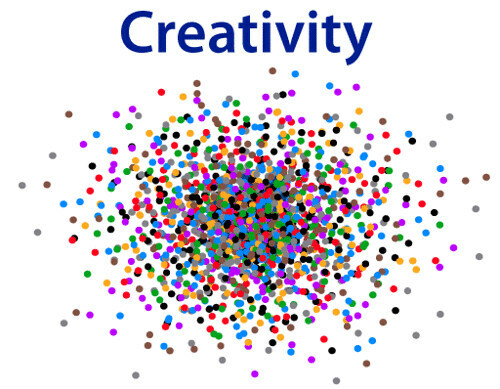 What you think you know about creativity might just be holding you back. We've long used the distinction of being a left-brain or right-brain thinker as a cute little way to show that a) we're smart about brain stuff and b) we're either creative or not creative. In our neurological model, the left brain was all about decisions and analysis, definitive thinking and action, absolutes and logic. It had nothing to do with the effervescent, visual, expansive, relational right brain of creativity. The only problem is that this particular model just isn't accurate. Research shows, in fact, that creative thinking does not belong to any particular side or area of the brain, but can "call up" multiple areas from either side of the brain. It really just depends on what kind of creative problem you might be solving. This means, of course, that if you've always identified yourself as a logical, left-brained person, you are no longer off the hook when creative problems arise. Constant deadlines, high-pressure work environments, never-ending urgent emails, and an unending to-do list have a bad effect on creativity. Studies show that working under pressure and looming deadlines results in higher anxiety and lowered creative processing. Though we all understand that anxiety thing from experience, we might not realize how time constraints can hinder our creative thinking. We actually can come up with ideas or solutions or whatever is needed; it's a survival response. But while we think we are being creative, what we are actually doing is pumping out mediocre responses in hopes of avoiding the perceived danger of missing that deadline. Taking breaks. Taking a nap or taking a walk. Grabbing a quick coffee and a chat. All of these things don't look like creative work. They look like the opposite of work. But what they produce in the brain - dopamine - leads to an increase in creativity. According to recent research in the field of neuroscience, the more dopamine we have in our brain, the higher our creative drive becomes. So doing those things that release dopamine, like staring out the window at a beautiful sky, fitting in some exercise, or distracting yourself with a pleasant break, do help us in our creative work. It just doesn't become obvious until the dopamine-inducing activity is over and we settle back into work, feeling strangely refreshed and full of ideas. How can the science help you to increase your own creativity or encourage creativity in your team? Here are three ways. 1. Don't dismiss analytical thinkers as "uncreative" people. Subscribing to the left-brain/right-brain stereotype might lead you to doubt your own creative ability, or to cut off creative input from team members who don't fit a certain creative profile. Retrain yourself to be open to creative input from anyone, because there really is no personality type when it comes to creativity. 2. Set soft deadlines on projects and assignments. A soft deadline gives you a time buffer, which is not only useful in case a genuine emergency does arise, but is also extremely helpful for creativity. Even when you are acting as if your soft deadline is the real thing, your brain knows it's a front. This knowledge lets you relax and settle into creativity instead of tightening up under a deadline that is real and much too soon. 3. Use a timer method for working and breaks. The Pomorodo technique, a popular timer method, is based on doing 25-minute work sessions followed by short (5 or 10 minute) breaks. Do focused work, then take a break. Repeat as needed for a workday routine that allows you to get stuff done while also giving your brain much-needed rest time. Use your breaks wisely (think relaxation and happiness, not cramming in another to-do or listening to people complain) and you can see those work sessions get more creative. Bitrix24 isfree customer relationship management suite. Use promocode TIP10 when registering your free Bitrix24 account to get extra 10GB.